Create the perfect picture wall clock in minutes! Fast and Easy! 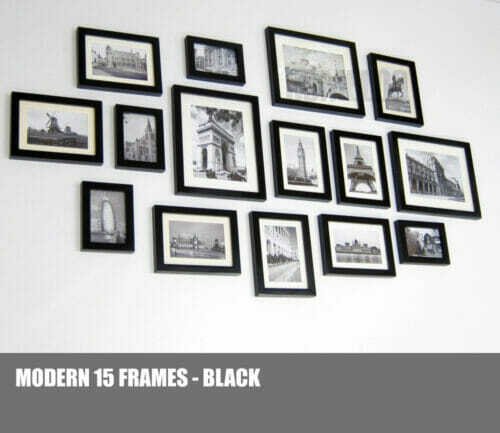 Comes with 10 wooden frames, layout paper and all hanging accessories. Frame made of pinewood and cover made of acrylic, not glass. Package include: frame layout paper, and pin hook. Photos not included. I was amazing. I fit just right at my room. Fast shipping from overseas and a great value compared to frame sets elsewhere! Great product.. Added glamour n style to my living!! Loved this! !